We can use an advanced custom campaign that will automatically trigger an email when someone adds their email to Shopify's built-in newsletter form. To get started, go to the Campaigns screen in Jilt and click the +New Campaign button. 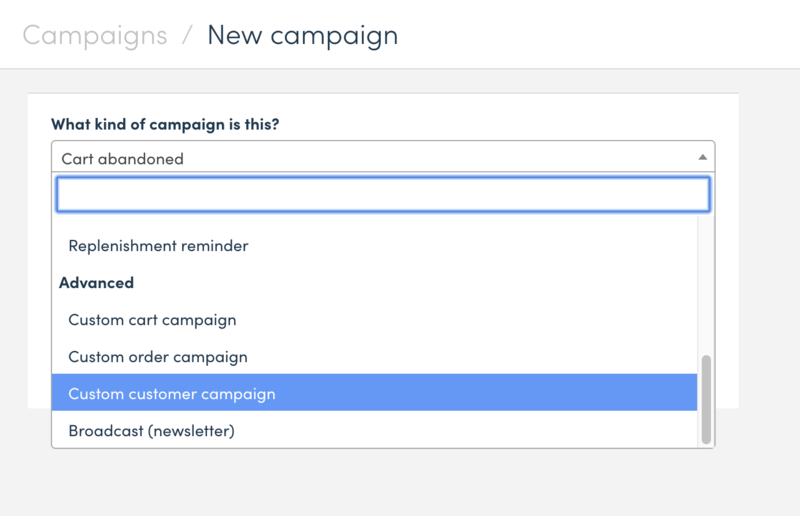 Then select the "Custom customer campaign" template option from the dropdown. 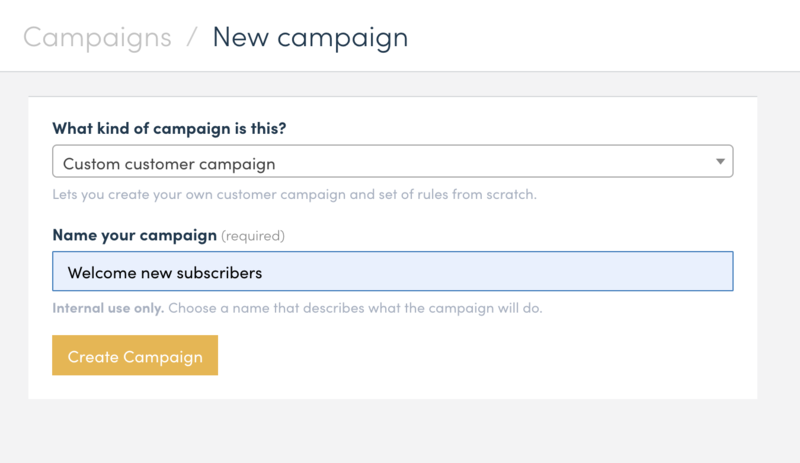 Next, give the campaign a unique name, then click the Create Campaign button. 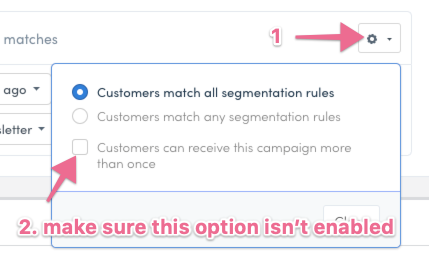 Now that we have the starting template created we'll want to add a few segmentation filters to make sure we're targeting your new subscribers. We also want to ensure that Jilt doesn't re-enter customers in this campaign. Click on the little cog icon on the right, then make sure that the "Customers can receive this campaign more than once" option isn't enabled.